Metro employees will inspect the overhead MetroLink wires in Illinois between the Belleville and College stations starting at 9:30 p.m. on January 16, January 17, January 18 and January 19. 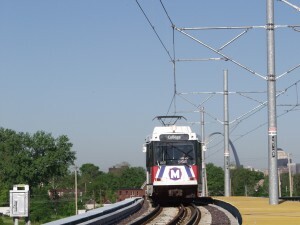 To accommodate these late night inspections, MetroLink will operate trains on a single track until the end of service each night. Red Line passengers may encounter 5-minute delays. Blue Line service will not be delayed by the inspections. I love it when MetroLink delays are at night because of that is when there are not much riders onboard during late night hours, and the daytime service doesn’t get interrupted.